This monumental two-story fortress lies deep within the heart of the Bavarian forest. Occupants of the castle have long since fled as evil forces now inhabit the castle walls. 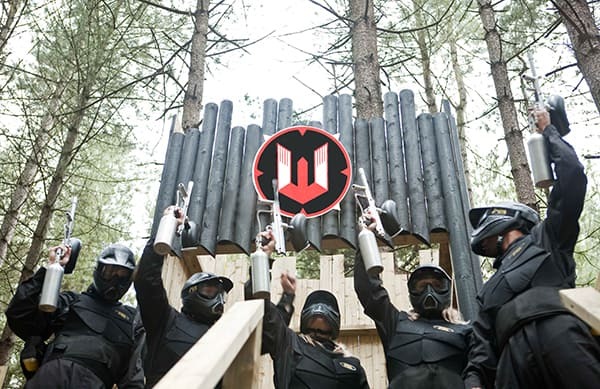 Your mission is to mount an attack against the seemingly impenetrable Castle Wallenberg and eliminate the enemy whilst raising the flag high to claim victory. For those of you attacking, though the castle walls standing between you and the flag may seem daunting, remember to take advantage of your re-spawn rule in the first five minutes. This means that no matter how much you get hit, you can keep coming back and pushing forward until that flag is within your grasp. It’s also important to remember that the enemy is limited to remain within the castle walls for the first five minutes, which means you can scope out the area, use what you can as cover and find a way to get to that flag! 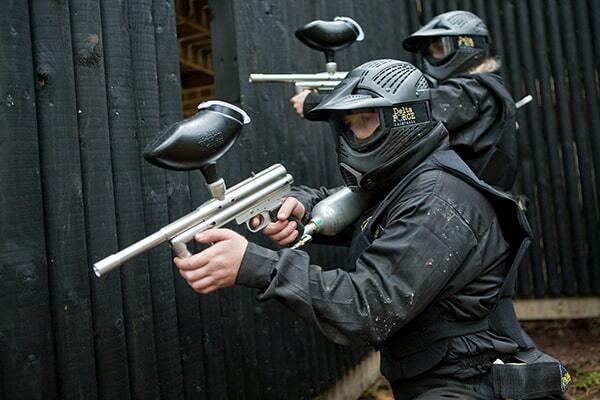 Providing you’re over 18years, this is a perfect opportunity for you to use our awesome range of paintball grenades available from our paintball shops. For £3.99 you can purchase our smoke grenade that will help shield you from the enemy view and get you closer to raising that flag. Those of you defending would be wise to spread out and take position at every vantage point. Anyone occupying the top can monitor any opponents looking to flank the castle walls and shout down to those defending on ground level. Remember, no matter what happens, keep your eye on that flag! So whether you’re on the attack or defense, communicate with your team, be aggressive, be careful but most importantly, have fun! 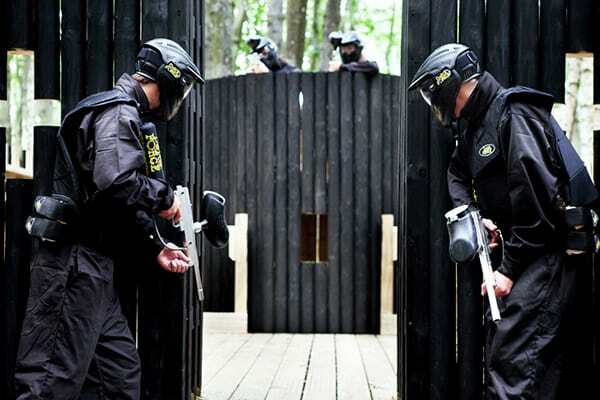 For more information on booking our Castle Wallenberg game zone or any of the themed game zones at Delta Force Paintball centres, contact an event coordinator 24/7 on 0203 869 9301 or use our online booking form.